Despite all oddities compounded by the dreadful Ebola outbreak, YAD is striving hard to maintain its reputation in community building and development. As a leading organization working with and for the youths in the eastern part of Sierra Leone, we view our existence as a great hope and therapy for the underprivileged youths, women and children. To suddenly disappear as other organizations are doing right now, regardless the prevailing situation in our operational areas, would be a betrayal and heavy blow to our target beneficiaries – particularly the youth population. Moreover, the board and management of YAD feel compelled to carry on the good jobs not only because we want to live in a beautiful and peaceful community, but because we have true commitment and passion for what we are doing. The above makes our team an indomitable force ready to pursue the interest of the youths, women and children at all cost, no matter how challenging the scenario might be. Though YAD is not a professional health organization, but we think it dangerous to continue to be seating on the fence while our security is being speedily undermined by the dreadful virus. 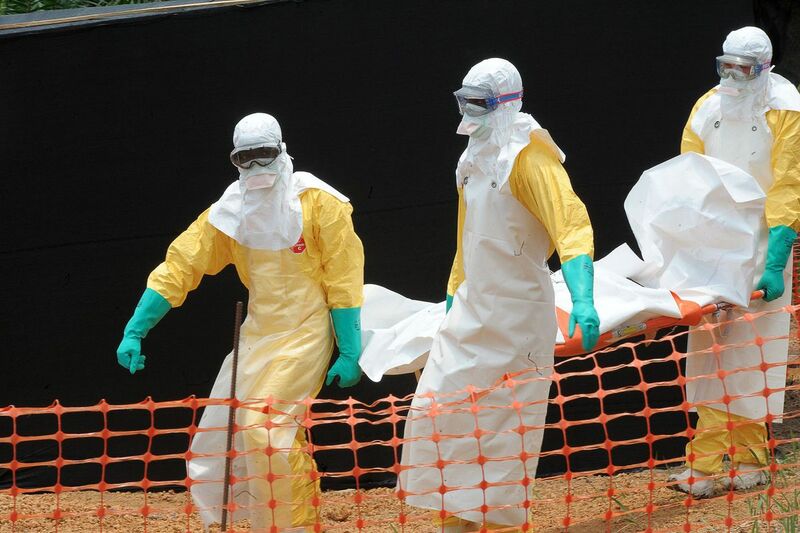 The virus crossed the porous border from neighbouring Guinea and Liberia, barely 4 months ago, into Kailahun and Kenema districts, where we are active and it has quickly spread to all knocks and cranny of the country. As at today’s date (10 September 2014), the figure of confirmed cases is 1341 with 436 deaths. 99.9% of them are medical personnel and poor rural dwellers, mainly youths, women and children who have little to do with decision-making. According to our observations based on head to head counts of physical fatalities at the government hospital in Kenema, which is not far from our office, the actual infection and death rate is twice higher than the “official” figures reported by the government. The virus has taken precedence over all traditional, religious and cultural taboos as we witness parents, brothers/sisters, colleagues and neighbours being buried without the usual traditional, cultural and religious rites. Patients are quarantined from their families, deaths are buried quietly and the survivors are living with social stigma. Many children and mothers are being left without breadwinners thereby adding more sores to their protracted wounds of poverty. The future is falling apart; educational institutions have been closed indefinitely; costs of essential commodities and services have skyrocketed; movement of peaceful citizens in their own communities have been restricted; social activities are banned; every inhabitant of the region now live in despair and agony wondering when, who and where the dreadful virus shall strike next. With the above in mind, YAD in collaboration with its German partner, Fambul Tik e.V, has shipped 32 hospital beds with matrasses and 3 palettes of medical stuffs to Sierra Leone. We are working on a second shipment of 35 beds and more medical stuffs in 5 weeks time due to lack of enough space in the already dispatched 40 feet container. The beds and medical stuff are to be delivered to various health posts in Kenema district including the epicentre in Kenema city. Given the fact that there is no known cure or vaccine against Ebola at the moment, we consider preventive sensitizations in rural communities to be the best solution. This is why we have already developed a project proposal on sensitization against Ebola in remote communities. It must be noted that 70% of the Sierra Leonean population lack access to television and radio due to lack of power supply in the country. This simply tells that sensitizations conducted in radios, television and local tabloids cannot reach the real at-risk communities. We therefore believe that only a village to village and house to house sensitization campaign can be effective against Ebola. Families who are directly affected also need cancelling as they go through the trauma of losing their beloved ones and the social stigma accompanied by Ebola. Speakers and writers usually refer to the youths as future leaders, but when asked when is the future, none of them can tell you the exact time. Our fathers, grandfathers and great grandfathers were told the same, unfortunately the future never came. This is why we at YAD believe that the future is now. If we prepare it well with good governance and peace education, we can live a peaceful and happy life and our children shall inherit the same. But if we wait for the future as our forefathers did, we shall ever continue to wait in vain and our portion shall always be political, ethnic, religious and cultural violence that shall result to endless poverty. This is why campaign for good governance and peacebuilding are placed at the central point of our activities. Thanks to our donor partners who share the same opinion, prominent among which is the United Nations Alliance of Civilization (UNAOC), who has placed us on its wonderful shoulder over the last 15 months and guided us towards success in many ways including capacity building trainings, introduction to training experts, linking ways to potential donors and short term engagements that can strengthen us financially. Following the successful implementation of the Youth Sensitization Campaign against Ethnic Voting, Religious and Cultural Discriminations project in Sierra Leone with funds from the UNAOC’s Youth Solidarity Funds 2013, YAD was invited to participate in a capacity building training in Istanbul, Turkey in February this year. Objective of the training was to help sustain youth organizations’ activities and results beyond UNAOC’s funding support through enhancing capacity of youth-led organizations in organizational strengthening; gender mainstreaming; monitoring and evaluation; financial sustainability, showcasing results and achievements to donors and partners. In early June, YAD was invited again by UNAOC to participate in a workshop on the development of an “operational guidance on young people’s participation in peacebuilding”. The workshop was co-spearheaded by the United Nations Peacebuilding Support Office (PBSO) and Search for Common Ground (SFG) in New York. This workshop enabled Sheriff to familiarize himself with many international stakeholders and potential partners in peacebuilding and to keep YAD updated about actions taken by them towards empowerment and inclusion of youths in peacebuilding across the globe. In August this year, YAD was selected again by UNAOC to work with a team of co-facilitators from diverse youth organizations across the globe to underpin its team at the UNAOC-EF Summer School which took place at Terry Town, New York. The school targeted 75 youths from various organizations, cultures and religions in diverse countries around the world. YAD and fellow co-facilitators were able to organize a special session on youth alliance building in intercultural dialogue and peacebuilding, which allowed him to personally facilitate a special session titled “Building Youth Alliances to Reunify Post Conflict Communities, Concretize Peace and Democracy Through Sport” using YAD’s activities in Sierra Leone as an example. By participating in this program, we were able to gathere a lot of knowledge and experience from other co-facilitators which we could use to shape up YAD’s activities in governance and peacebuilding. Thanks to UNAOC for enabling the participants to visit many beautiful parts of New York including the Central Park, Manhattan, United Nations Headquarters and many other interesting places. YAD recognises education and skill building as an integral part of peace and democracy in Sierra Leone. Statistic shows that 75% of Sierra Leonean youths are jobless either due to lack of job facilities in their localities or appropriate education and skill knowhow that can enable them secure payable jobs. Ironically, education is the least prioritized sector for the central government that is leading the fight against youth unemployment in Sierra Leone. As such, education in Sierra Leone has now become an opportunity only reachable by rich people. This is why YAD decided this year to create a multi-purpose digital facility (digital library, desktop publishing, ICT training and internet café) which could make education reachable and affordable for underprivileged youths in the eastern city of Kenema. As the famous Mende adage goes, Beki Wopo ae-loh, meaning an “empty bag cannot stand”, one of our project beneficiaries asked one day during a peacebuilding symposium in Kenema: “you are sensitizing us about peace, democracy and gender equality, but do you know that a hungry man is an angry man?” The youth wanted us to understand that its hunger and poverty that makes the youths vulnerable to participate in violence and lawlessness activities. This is why we have a strong commitment to our agriculture and food security projects. In June this year, the German government, through the Federal Ministry of Development and Economic Cooperation (BMZ) approved our second proposal for Agriculture and Food Security for youth and female headed households in Nyawa Chiefdom Kenema district. The aim of the project is to develop appropriate small scale irrigation infrastructure in order to boost rice production, a major staple in the country. Emphasis will be put on: (i) developing small scale gravity irrigation systems, particularly inland valley swamps (IVS), which can be developed by the community members themselves at a low cost; and (ii) providing support to target group to maintain and manage the schemes toward assuming full responsibility without external support. The program could support the development and rehabilitation of about 10 hectares of inland valley swamp (IVS). Priority is given to IVS lands that are less waterish, with strong community demand, technically simple to design and cheap to implement, without any land tenure barriers. The project is targeting up to 300 beneficiaries in 12 month time. It also entails a rice miller, grain store, dry floor, improved seed rice and tools. What about the 40 feet container, what is actually on board? Since May this year, we have been working round the clock to gather valuable materials and resources that can capacitate YAD hence to solidify its position in peacebuilding and development in Sierra Leone. On-board this 40 feet high cube container are more that €30.000 worth of items mobilized in Germany with the help of our German partners. Excluding the medical stuff and hospital beds, everything is meant to capacitate YAD in Sierra Leone. A multipurpose digital facility: This graphic shows a rough layout of our proposed multipurpose digital facility in Kenema. Everything featured here are on board the container. Some other materials meant for this project which are on board the container but not featured here are the all-in-one business printers, modern computer tables and chairs. Public entertainment system: majority of our fellow youths are jobless. They spend the day searching for their daily breads in streets under the rain or burning sun in a community where the gap between the rich and poor has become unimaginably wide over the years. While sport has hitherto helped to console them, we believe that transforming them into a musical band can help them generate some income with less headaches. The above instruments are all useful for public entertainment in Sierra Leone. Such band could be hired by birthday kids, wedding organizers, school picnics or thanksgiving services and other NGO’s operating in our community. In addition to that, the speakers backed up by our mobile generator could be useful in every community sensitization program. The above graphics are just to show an overview of some of the items on board our container, but there are many other components of the musical sets which are not shown here. A Nissan Navara: it will replace our old Nissan Pathfinder. It must be noted that roads in the Sierra Leonean interiors usually become very terrible during the raining season, which makes project supervision rather expensive. This Nissan Navara is very economical and strong enough to reach every destination. We have deliberately insisted on having a diesel engine because Kenema is one of the few cities in the world that suffer from frequent petrol scarcity. Diesel has proved to be a better option for every NGO operating in the region because it never dry up. We are happy with this Nissan model because we could remove the tinted hardtop from the back during summer to use it as a pickup van that can carry our musical equipment. The Navara was purchased in Stuttgart, Germany with funds from various philanthropists prominent among whom are Fambul Tik e.V. and Ute Winkelmann’s chamber. – German Federal Ministry of Development and Economic Cooperation (BMZ), which paid 75% of the shipment cost of the 40 feet container. – Stifter Helfen.de, which donated some of the IT equipment and also mediated the donation of Microsoft operating systems and office packages direct from Microsoft global. – Richard J Catherall, a British social entrepreneurship expert based in Cyprus, who has been going extra miles to coach YAD staff through Skype on how to develop their digital library project into a sustainable social enterprise. Richard is one of the numerious trainers hired by UNAOC over the past period to train its partner youth organizations across the globe.